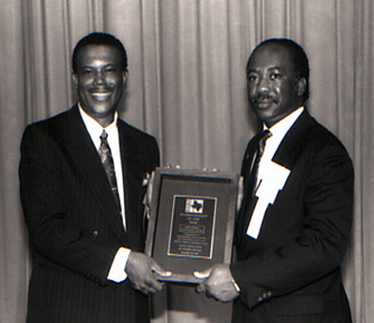 The Caucus was established in 1978 under the leadership of Dr. Charles Matthews. Dr. Charles Matthews, Deputy Superintendent at North Forest ISD, served as President of North Forest Teachers Association and was politically active on African American education issues. While in a Doctoral program at Texas Southern University, he was contacted by the Professor of Education Dr. Wayne Carle (Anglo) and asked if he would work with and establish an organization for the Texas African American school board members. While attending TASB Summer Leadership Institute, Dr. Matthews met with African American Trustees. He proposed a plan to establish an organization where African American Board Members would discuss the issues effecting not only African American students but also African American teachers and board members. The founding members of this new organization were: Dr. Emmit Conrad, Dallas ISD,the first President of the Black Caucus; Kathlyn Gilliam, Dallas ISD; Dr. Yvonne Euwell, Dallas ISD (deceased); Emma Horn, North Forest Vice President; Toby Duhon, Port Arthur ISD; Lunita White, Wilmer Hutchins ISD; Robert Bates, Wilmer Hutchins ISD; Ernestine McMillian, Wilmer Hutchins ISD; Ruby Folson, Wilmer Hutchins ISD; McGowan, Houston ISD. These board members helped to plan the structure of the Black Caucus. Wilmer Hutchins and North Forest ISDs, predominately all black districts, were very involved with the Caucus during the eighties and nineties. They, along with Dallas ISD, would dominate the Officers positions. During these times, if Black Board members joined they paid their own membership as very few Districts nor TASB recognize the Caucus as a legitimate organization. Board members did not receive education credit for attending Caucus meetings or events. In the early years, the Black Caucus members took action by protesting against speakers that were derogatory to African American youth and society at TASB functions. These board members would stage walk outs by their members during the presentations. In 1990, The Black Caucus name was changed to The Texas Caucus of Black School Board Members. 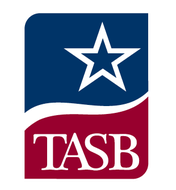 The name and several other structural changes allowed the organization to be recognized as a supporting school board entity which could grant education credits and reserve rooms at TASB functions. Learn more about our history and meet our Living Legends.